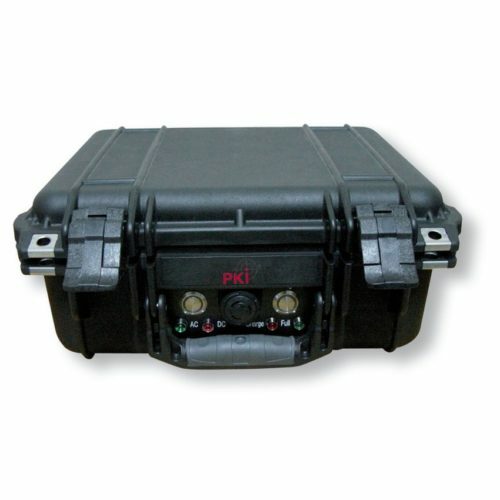 The PKI 6125 is a high power jammer suitable for mobile use despite its high power. It features high transmitting power with compact design. The device can be deployed network-independent and operates up to 2 hours with its lithium battery. The built-in antenna provides mobile operation, however, additional external antennas extend the operation possibilities. A separate antenna outlet is available for each frequency range. 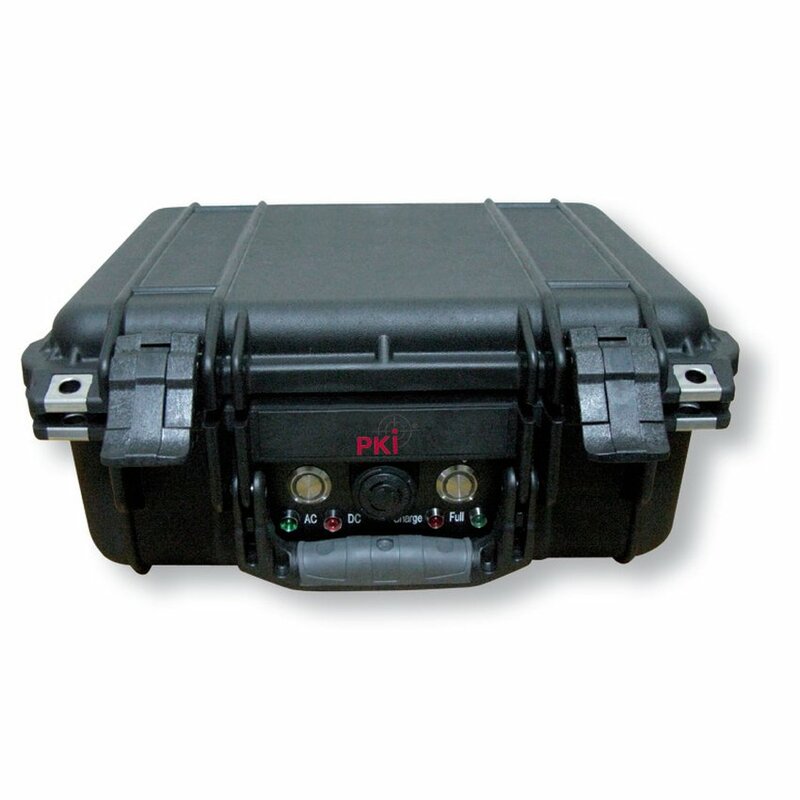 Due to its powerful fan, the PKI 6125 offers constant operation at high temperatures and in tropic climate which is also supported by the solid and durable plastic suitcase. It is equipped with a grip and rolls enabling the operator to easily move it over longer distances in spite of its weight of 25 kg. This jammer provides a maximum of power at high mobility. The built-in battery can be charged during operation which ensures continuous application. The various functions are displayed at the housing.